This is used to measure glucose level in blood. PACK SIZE: 25,50 and 100 Strips. The Accusure Easy Touch Blood Glucose Strips are used with blood glucose monitoring Device to measure level of glucose in blood. This is very crucial to keep a check on your blood glucose so that it does not deviate from the normal. This is used for blood tests easily & comfortably . In this simply put a small drop of blood on the strip and get fast results without any hassles of going to the doctor. This is aptly designed for people on the go. This is primarily used for self testing the blood sugar level. 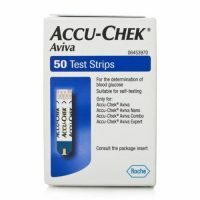 Accusure Blue Strips Quantity is : 25,50 & 100 strips. These strips are very simple which are easy to use and handle. These make testing of blood sugar levels super easy. This diabetic care product has been ergonomic design, which is very easy to use. 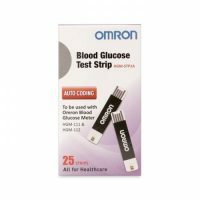 This is primarily used for self-testing the blood sugar level, these strips are aptly designed for people on the go. The product is light weighted and compact which makes it easy to carry anywhere.